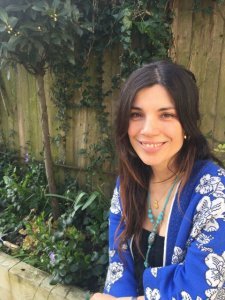 Laura gained a BSc (Hons) in Herbal Medicine from the University of East London and is a member of the National Institute of Medical Herbalists (https://www.nimh.org.uk), which requires practitioners to uphold the highest standards of practice, as well as maintain and update knowledge through Continuing Professional Development. Along with the theory of herbal traditional healing systems around the world, her studies involved extensive training in pathology, clinical diagnosis and physical examination skills, as well as over 600 hours supervised clinical practice. Laura believes in an inner ability to self-heal and works to remind patients that they can be proactive in their own health. A desire and a willingness to learn how to take charge of your wellbeing forms the basis of the therapeutic relationship she looks to establish with patients. Before training to become a Herbalist, Laura worked in a variety of care and education roles, and always particularly enjoyed working with children and vulnerable adults. Laura is convinced that Herbal Medicine can benefit all, at times of sickness and as a powerful preventive tool as well as to support/promote healthy aging, and has special interest in working with new mothers, babies and children. As a mother and a Herbalist, she is lucky to be able to care for her family’s health at home and reduce the need to see a GP. Through the consultation, Laura works to get to know you as an individual and not only the symptoms of your illness. She aims to find out your expectations and needs, and work to empower you to take charge of your own wellbeing, as much as possible, setting realistic and achievable goals with you. Herbal prescriptions are uniquely tailored to each patient and treatment can be adapted to work alongside other medications you may be taking. The herbs used are organic, whenever available, never from animal sources and always from reputable, sustainable suppliers. The first consultation usually lasts 60 to 90 minutes. A physical examination will be carried out, if appropriate, with your consent. Initial Consultation/Follow-up: £60/£45 (adult); £40/£25 (under 16).